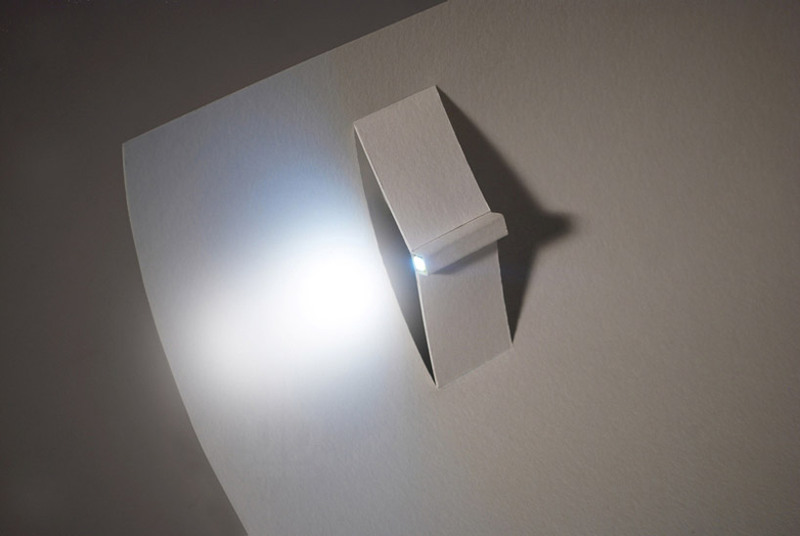 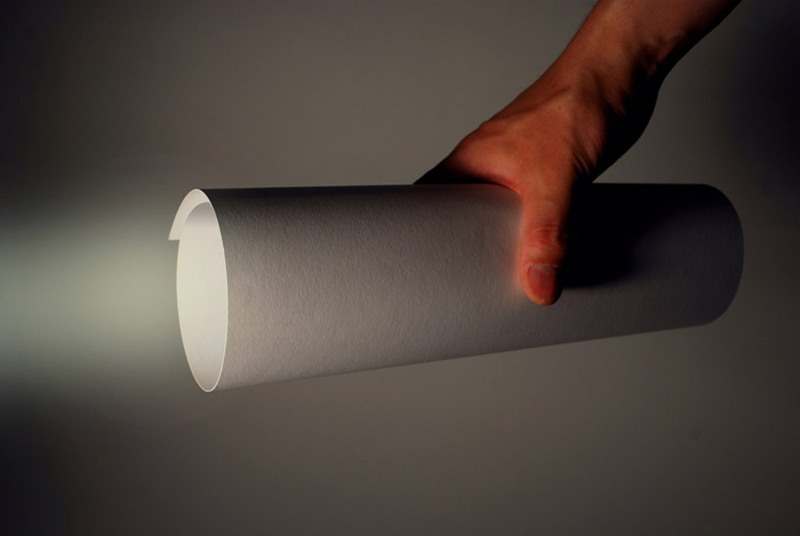 Japanese designer Kazuhiro Yamanaka rolls up paper with battery operated LED to create an ample illumination source. 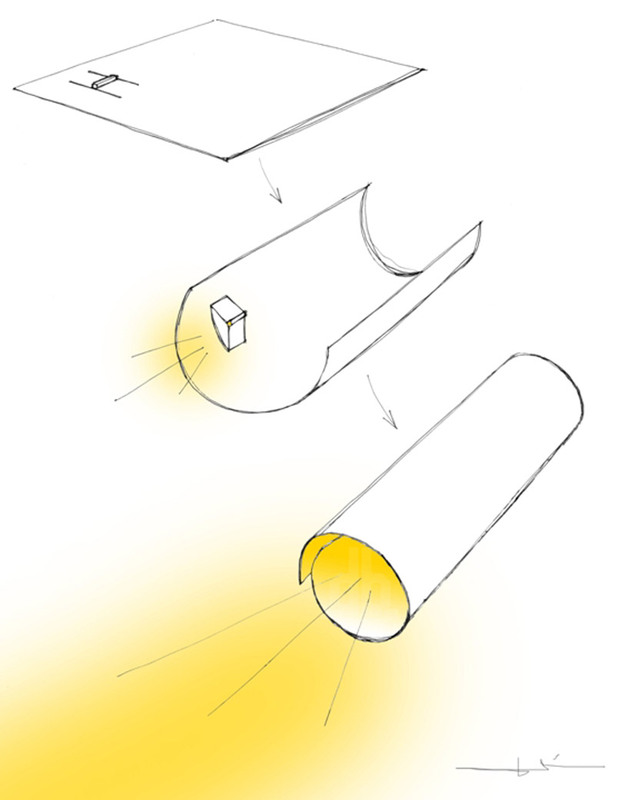 when a user gyrates the sheet into a cylindrical form, the slit contained within the parchment extrudes inwards, automatically powering the LED attachment via two thin hidden switches. 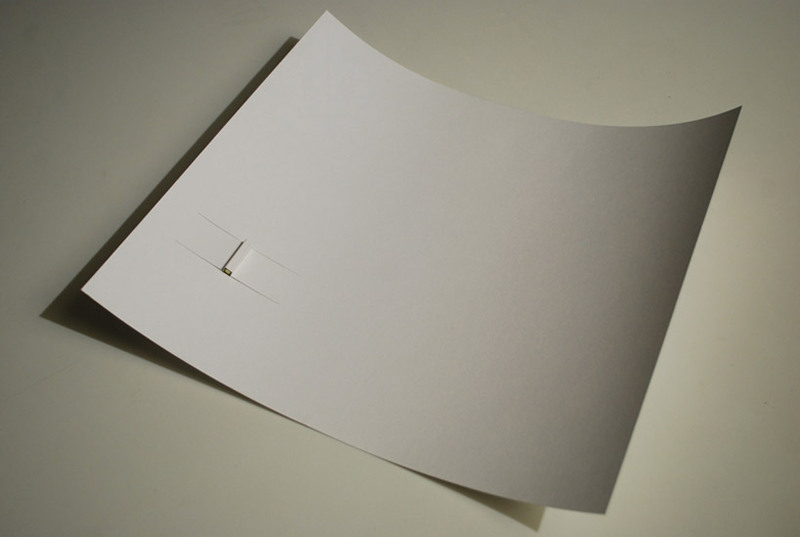 as soon as the volume becomes flat again, the light shuts off.